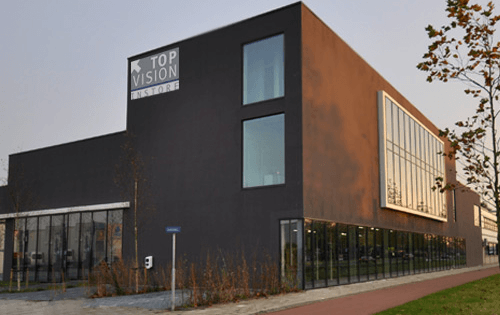 The Top Vision Group is a design and development company based in Haarlem, near to the beaches of Amsterdam. It has a singular focus; presenting designer eyewear in a clear, secure and attractive way. We aim to support everyone involved in the presentation of frames with all the knowledge and craftsmanship we have built up over the last 25 years. Our strength lies in the middle and higher end market sectors. Both the end-user preparing for a limited redecoration of a store, as well as the interior designer working on larger projects can rely on our displays and our organization. We put your situation in the spotlight, from the very first design until the final production and delivery. For every optician and sunglass specialist, the optimal in-store presentation is crucial. Optimal to present the frames but also optimal to prevent theft. At the same time the best practical situation for your staff should be created. This is often a difficult combination. That is exactly when the professionals of Top Vision Group are at their best. Are you Architect or Shop fitter? In a project everything has to fit. Any deviation in delivery times or measurements can have huge consequences. That’s why you want to work with professional partners who keep their promises and deliver quality that matches the project. Let us use our knowledge to help you achieve the optimal result.